Carpets are definitely one of the most popular floor coverings in South African homes and for good reason. They are comfortable, attractive, durable, and add character and warmth to any home. Nothing quite beats the feel of carpet. If you are thinking about laying new carpet, you’ll need to visit a carpet supplier. Here’s what you need to know. A reputable carpet supplier should have a large range of quality carpets from all price points and in a huge range of colours. The density of the yarn and weave determines the basic quality of carpet. If possible always look for a tight weave. 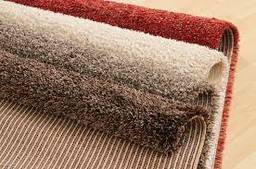 Each of these types of carpets are suitable for different purposes so the supplier should be knowledgeable and able to explain to you the differences in each type of carpet and recommend one that best suits your purposes. If possible invite the supplier into your home so that they can advise you even better. Carpets can be natural or synthetic so this should be taken into consideration when making your decision. With the carpet itself, the supplier should be able to provide you with a range of underlays to choose from. Underlay is very important as it helps to improve both the feel and also the wear of the carpet, as it gives a cushioning effect. Underlay can also be used for insulation and most importantly it also reduces noise in the home. Any carpet supplier should be able to give you a quote on the cost of the carpet itself as well as the price of installation if you are able to give them a sense of the area to be covered. Always check the reviews on our listings to see what customers have said about a supplier.